The British Virgin Islands have been infused with people from many other islands and countries for many generations now, and this has turned the islands into a Caribbean and global melting pot. The population of British Virgin Island is approximately twenty thousand, with three quarters on Tortola. 50% of the population is made up of native British Virgin Islanders, with the rest comprised largely of nationals from other Caribbean countries. Of the total British Virgin Island population, ninety percent is of African descent, and the others of East Indian, Amerindian, and Middle Eastern descent, or white expatriates. British Virgin Islands are a British overseas territory, located about 50 miles east of Puerto Rico, and northeast of US Virgin Islands. 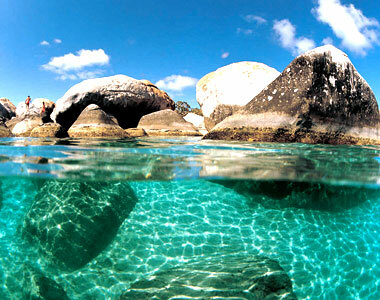 The islands and cays that comprise the British Virgin Islands are clustered around the Sir Francis Drake Channel. Often referred to as "Nature's Little Secrets", these islands offer pristine beaches, several unspoiled anchorages, and exotic fauna and flora. The site is great for yachting, and is known as one of the best and safest sailing destinations in the world, with its consistent trade winds, nice weather, and a variety of isolated and fascinating bays to visit. Tortola is the island's yachting capital, and the territory's main commercial center, with gorgeous, hilly slopes, blessed with tropical fruits and flowers. 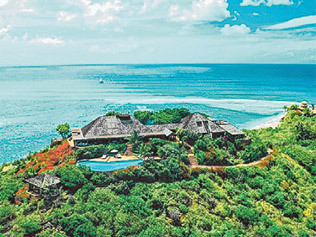 It is a perfect base from which to explore some of the other inhabited islands, including Virgin Gorda, known for its impressive geological formations, and one of the British Virgin Island's most popular landmarks. The British Virgin Islands comprises a group of over 60 islands, islets and cays, located at the northwestern extreme of the Leeward Islands of the Lesser Antilles. These islands are adjacent to the US Virgin Islands at longitude 64.30W and latitude 18.30N. Most of the islands are volcanic in nature, though one island Anegada, located 30miles northeast of Tortola, consists of coral and limestone atoll. The islands have tropical, temperate easterly trade winds, relatively low humidity, and modest seasonal temperature variation. Temperatures in summer range from 79-88F, and between 72-82F in winter. 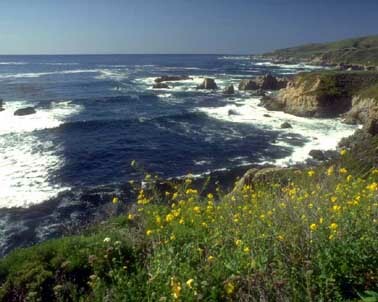 Rainfall is unpredictable with occasional droughts. The history of British Virgin Islands is rich in territorial disputes, piracy, and privateering. Though Carib Indians and Arawak occupied the islands as early as 100 BC, none of these early settlers ever reported encountering natives. In 1500's the Spanish Empire claimed the islands after Columbus sighted it. Thereafter, territorial disputes cropped up among those wanting possession of the islands. Many parties laid claim, including the Dutch, British, French, and even pirates, but, by 1672, the islands were under British control, where they have since remained. The Leeward Islands Colony, of which the British Virgin Islands were initially a part, was abolished in 1959. Then the British Virgin Islands attained separate colony status in 1960 and became independent in 1967. Today, the British Virgin Islands are a self-governing Dependent Territory of the United Kingdom. Development on the islands was motivated widely by Laurence Rockefeller's contribution. In the 60's, he built the British Virgin Island's first luxury resort at Little Dix Bay, a victorious venture that many recognize as the start of the island's thriving tourism economy today. 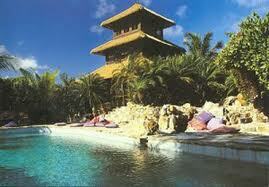 Tourism is now the island's principal trade, followed closely by offshore company registration. Cane Garden Bay is the island's most popular beach, and the first choice for sunbathers, swimmers, water sports enthusiasts, and a preferred port for sailors. 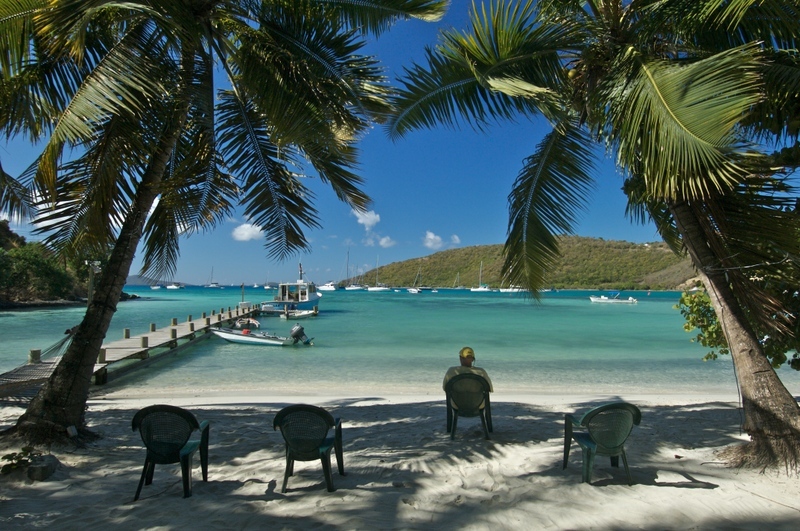 It is also the hub of Tortola's nightlife, featuring seaside bars, restaurants and Caribbean-style leisure. The curved bay is strewn with guesthouses and villas. The impressive two-hectare gardens in the center of Road Town are a must for those fascinated by the tropical flora of the Caribbean islands. Pathways stretch beneath floral pergolas, within a mini rainforest, past a luxuriant mixture of exotic indigenous plants, waterfalls and ponds. Other attractions include the diverse tropical bird species and red-legged tortoises that have made the gardens their sanctuary. 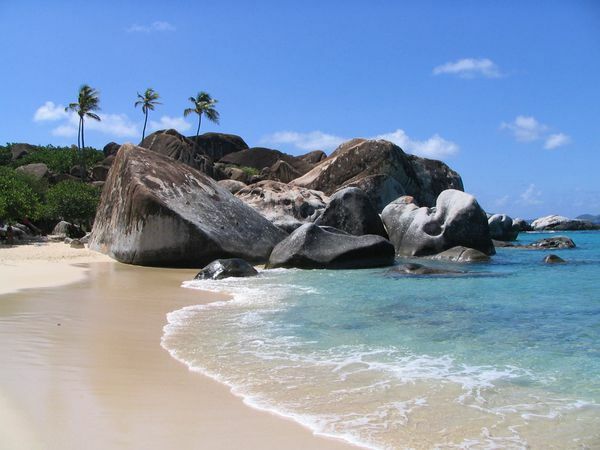 The Baths are massive boulders that lie scattered along the island's amazing beaches forming scenic tidal pools and delightful grottos that encourage hours of exploration, swimming and snorkeling. The mesmerizing rock formations were caused by volcanic activity thousands of years ago, and today they are the most visited natural wonder in the region. Nightlife on the British Virgin Islands includes classic beach bars. You'll find at least one good quality bar on each of the other major islands. The regular crowd at these sandy-footed spots includes: hammock swingers, daytime drinkers, and beach sunbathers. Not every spot offers good overnight moorings, so some spots clear out before sunset when the yachts hightail it to stable anchorages. Once the hook is dropped, the boaters are all set to boogie, which is why the British Virgin Island's best nightlife is adjacent to protected waters like Jost Van Dyke's Great Harbour, Norman Island's Bight, Tortola's Can Garden Bay, and Beef Island's Trellis Bay. The citizens of the British Virgin Islands may have their roots in Africa, but their culture is firmly Caribbean. Christianity is the prevailing British Virgin Island religion, with 45% of the population Methodist, 21% Anglican, 18% Baptist or Pentecostal, and 6% Roman Catholic. The British Virgin Islands culture is seen in its many art forms, including such home-grown music as fungi, a form of scratch band music. Music here also encompasses Caribbean imports, such as steel band music with melodic sounds originated in Trinidad, Reggae from Jamaica, and Salsa from Latin America. The people's official language is English, with both formal and Creole variants spoken. Dining in the islands is quite an experience. The menus vary from local Continental French to fine Florentine cuisine to West Indian. You can have a taste of diverse culinary arts while in the British Virgin Island, savor the excitingly delicious local foods from a lively history, and enjoy the melting pot of luscious cuisines indicative of the island's diverse population. Whether you enjoy a fun relaxed ambiance at one of the beach bars or a superb fine dining experience, they are all here for you to partake. There is no shortage of first-rate restaurants serving authentic dishes. The traditional specialties are: Roti, a flavorful East Indian flat bread, filled with meat or vegetables; Pate, a dish baked or grilled, with ingredients including spiced meat, seafood or vegetables, stuffed into pita bread; or Fungi, a delicious mixture of cornmeal and okra, usually served with seafood, and probably the closest to Italian polenta in flavor and consistency.